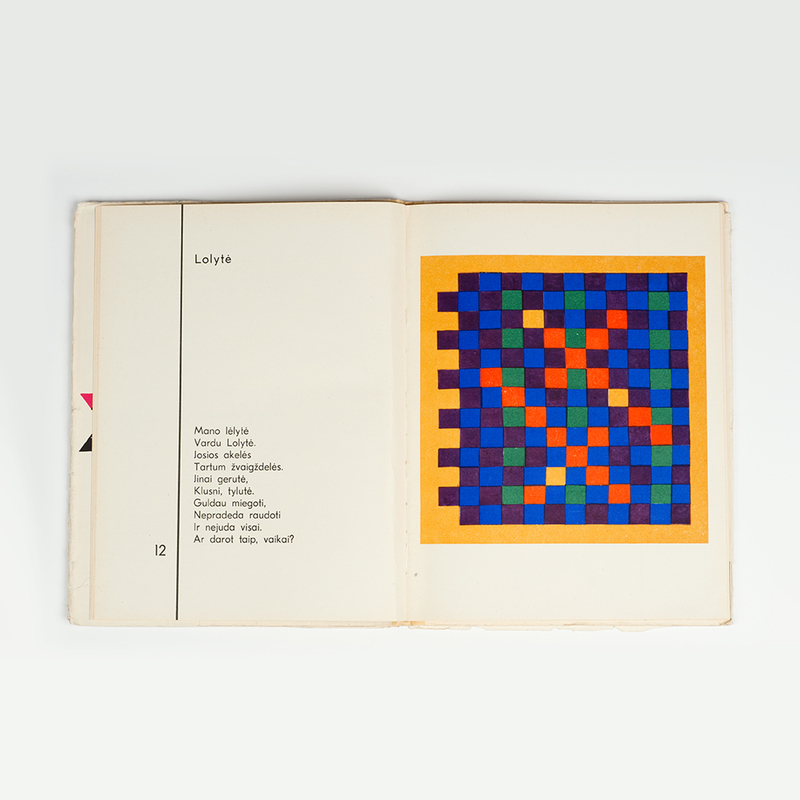 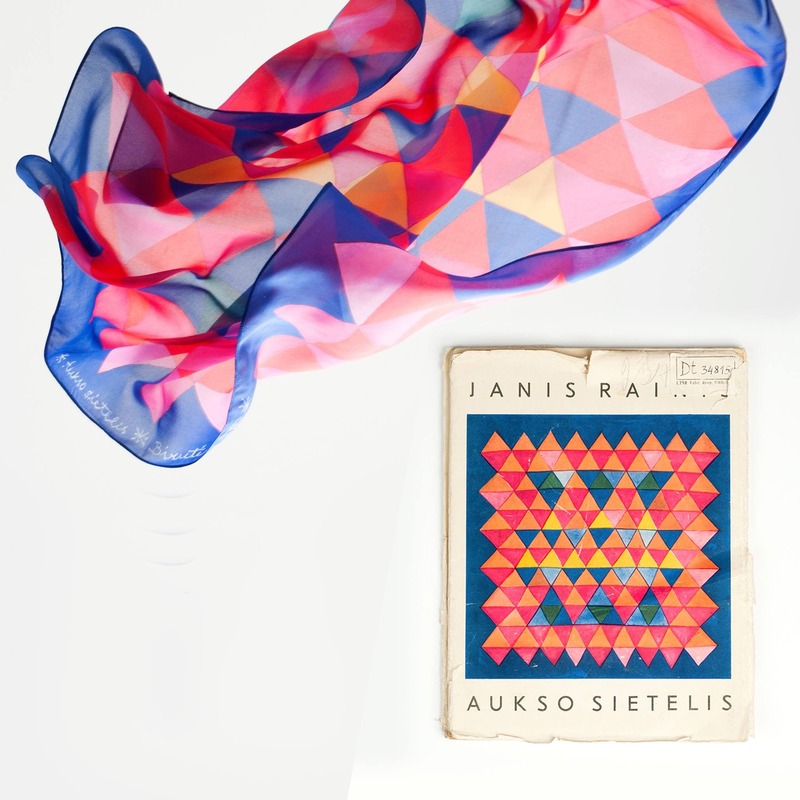 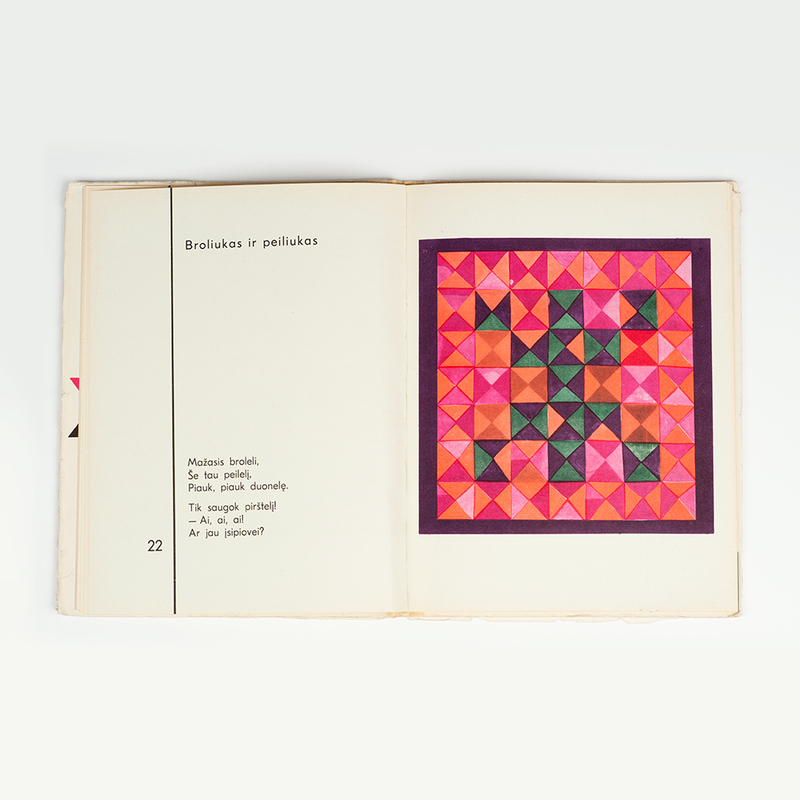 The design of scarves was inspired by the vividly colorful geometric illustrations by Birutė Žilytė for the Latvian author's Janis Rainis children’s book “The Golden Strainer” (Vilnius: Vaga, 1967). 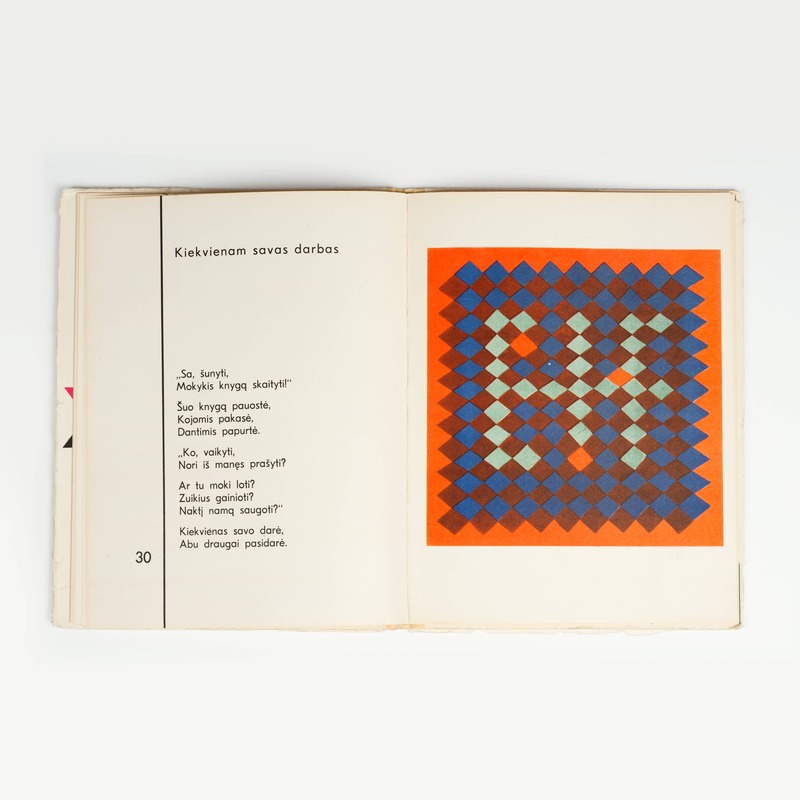 “The Golden Strainer”, illustrated by Žilytė, was at the time one of the most innovative publications. 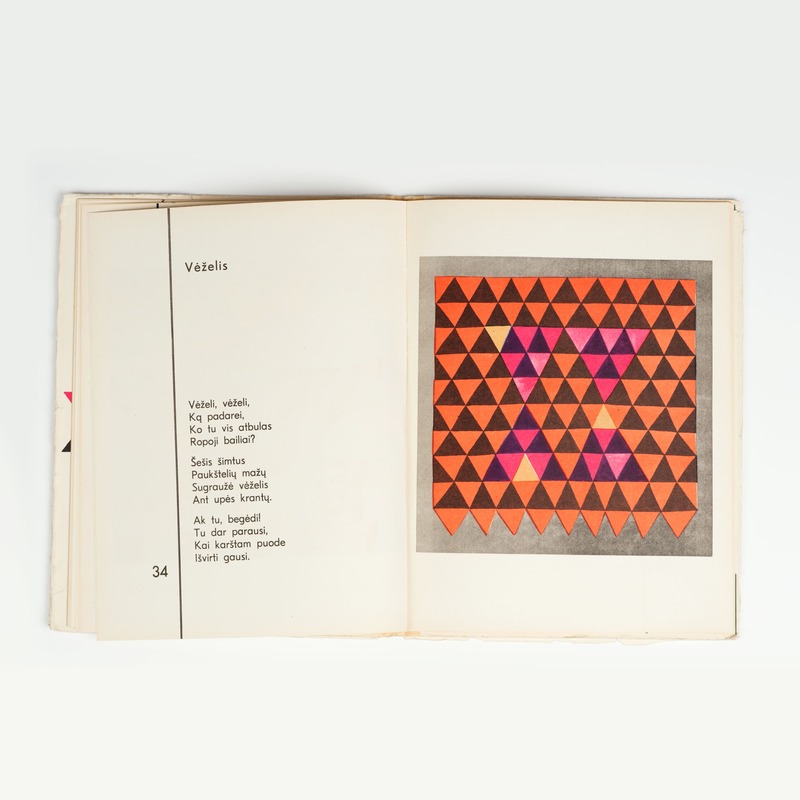 Bright colors and their combinations were the result of the artist's childhood memories - flowering meadows, beloved people and places, encounters with nature and poetry. 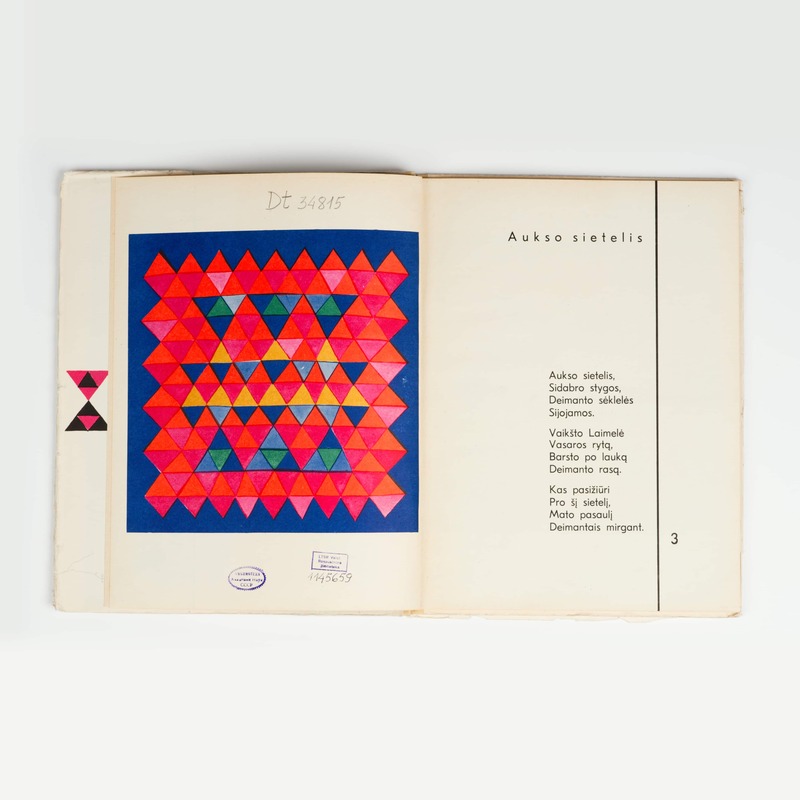 In 1969 for these illustrations the artists received the main award of the Biennial of Illustration Bratislava - the Golden Apple. 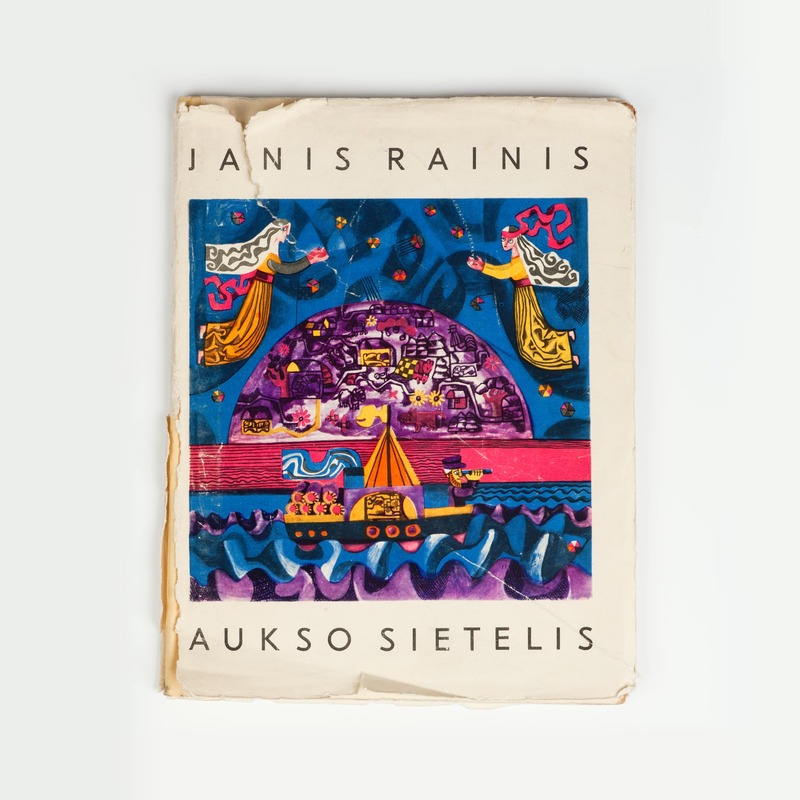 In 2016 m. the project “Design Foundation: actualizing history” brought up the idea of creating and producing the Golden Strainer scarves based on seven illustrations of Janis Rainis book. 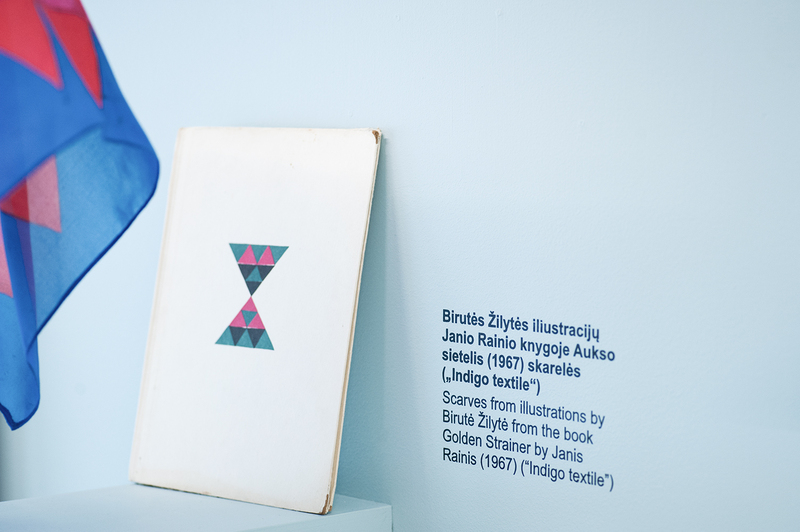 The idea was realized in collaboration with Birutė Žilytė, the textile design studio “Indigo Textile” artists Milita Balčaitytė and Elzė Sakalinskaitė, designer Deimantė Rybakovienė, and photographer Karolis Milaševičius. 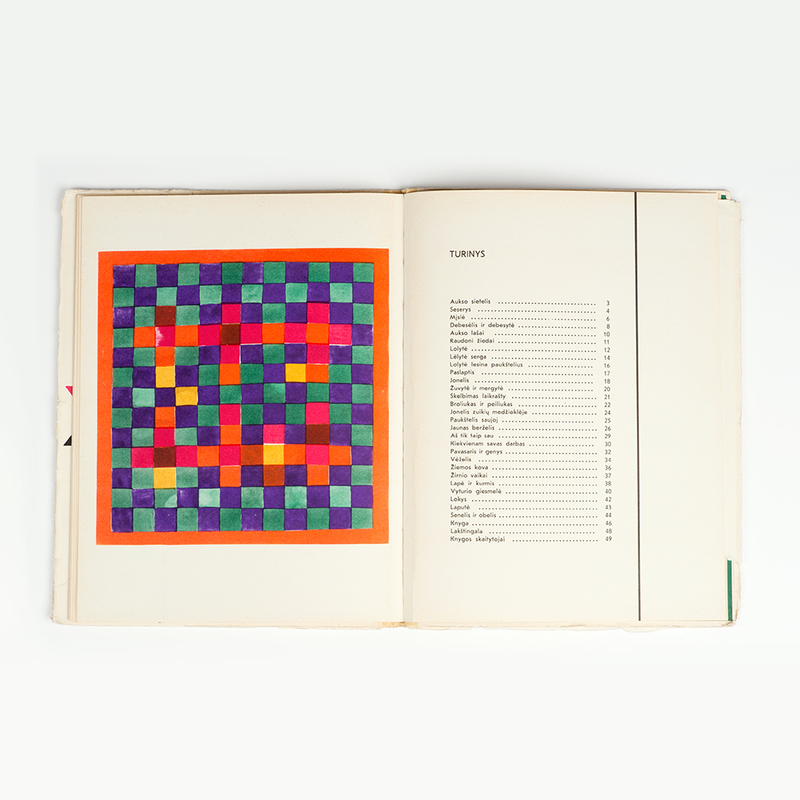 One of the scarves is based on an illustration that was not used in the book in 1967, thus it has been introduced to the public for the first time. 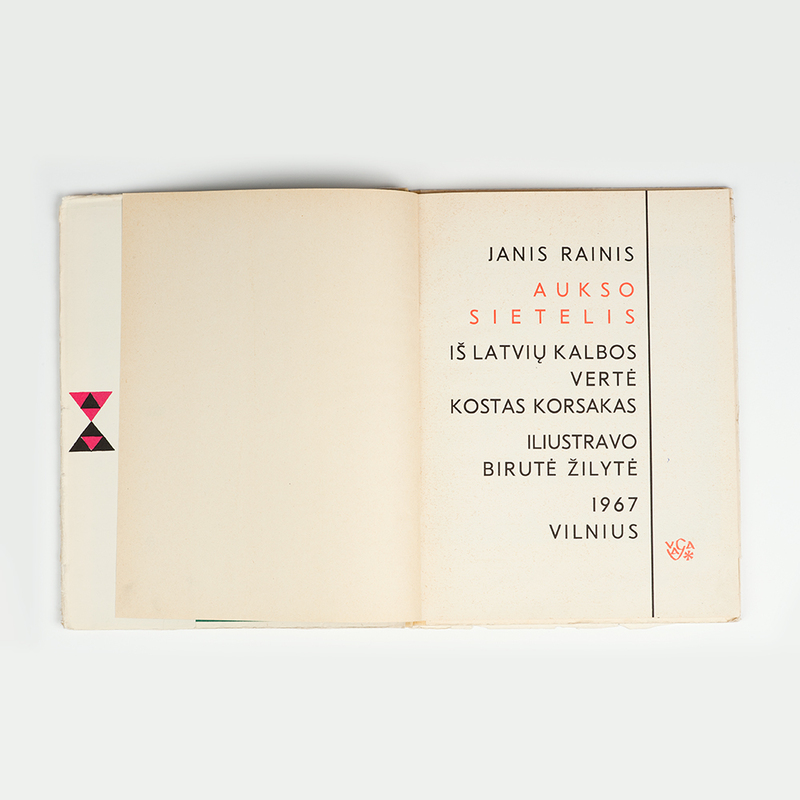 “Created in Lithuania in 1960s” (curators: Karolina Jakaitė, Šarūnas Šlektavičius, and Gintautė Žemaitytė; exposition designer: Paulius Vitkauskas). 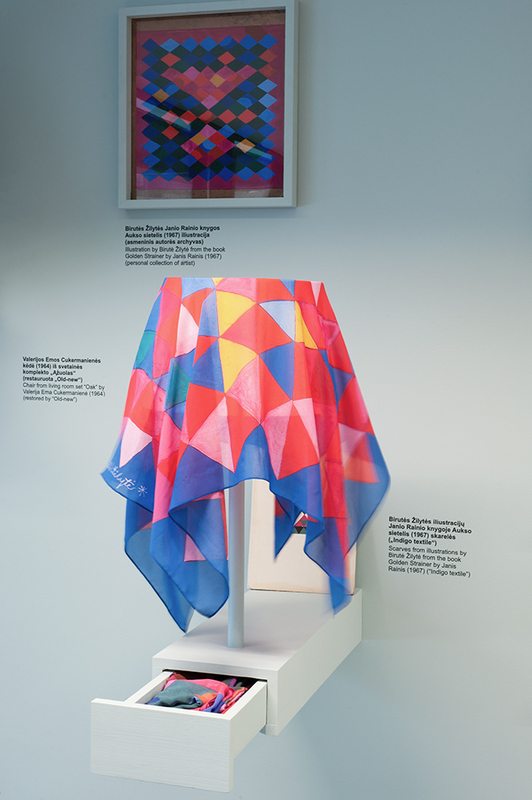 In 2017 the Golden Strainer scarves won the second place in the competition “Good Design 2017”, in the category of fashion accessories (“Indigo textile”).